Ant-Man director Edgar Wright's The World's End isn't expected to take #1 at the box office, but it's the best-reviewed movie opening this week in wide release, according to popular review-aggregator site Rotten Tomatoes. It's also the best-reviewed genre film of the year, with no other science fiction, fantasy or comic book film beating it out. The closest big genre release is Star Trek Into Darkness, which managed to make the top 100 list at #59. 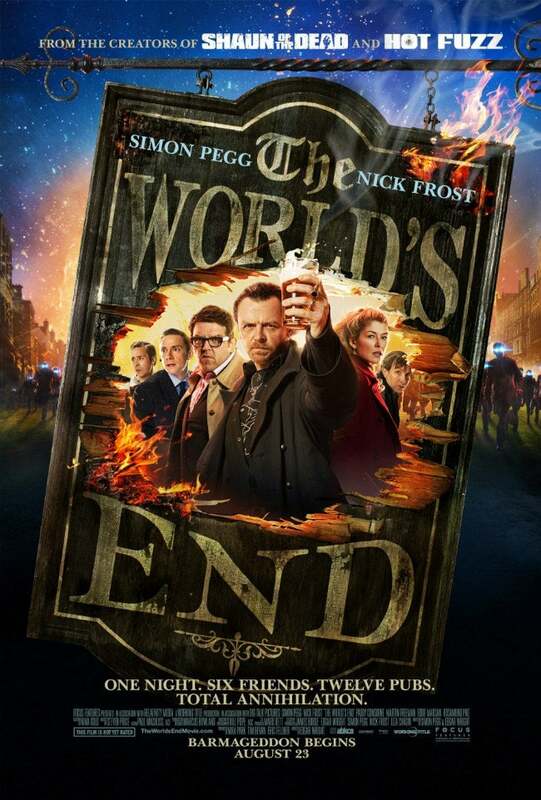 The World's End, meanwhile, clocks in at #31 for the year, scoring a 92% fresh rating. It's also the highest-rated film of any released this year on more than 1,500 screens, meaning that all 30 of the movies ahead of it were very modest releases, which favors the kind of indie darlings that critics love. In a year where almost every major genre film, from Man of Steel to Pacific Rim to Iron Man 3, took some lumps from the critics, The World's End seems to have made it out mostly unscathed. It also shows a remarkable consistency throughout Wright, Pegg and Frost's Three Flavours Cornetto trilogy: Shaun of the Dead rated 91% fresh, as did Hot Fuzz. Unfortunately for Marvel, Pegg has nixed the idea of working together with Wright again for Ant-Man, in spite of rumors that he set into motion earlier this week as a joke. Of course, that won't help it too much in terms of ticket sales. Box Office Mojo is calling for the movie to make less than $10 million this weekend and come in at least fourth, behind The Butler, Elysium and We're the Millers. It may even dip below The Mortal Instruments: City of Bones, depending on the turnout of younger audience members and females, both of whom are groups more likely to see that film than The World's End.